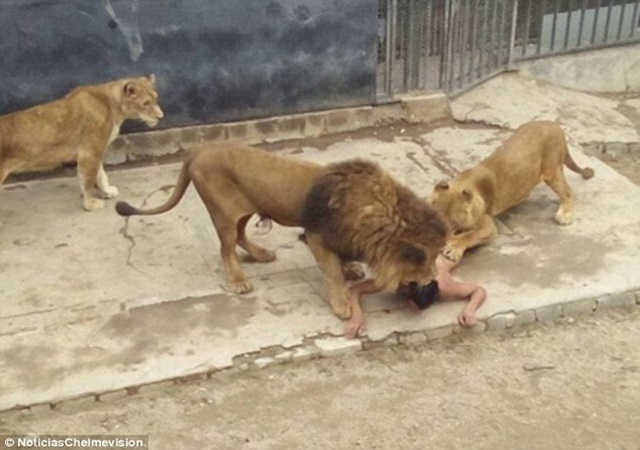 A suicidal man cost the lives of two lions after he suddenly strips naked and jumps into a lion’s cage at Santiago Zoo (Chile) in a bid to feed himself to the hungry giant cats. 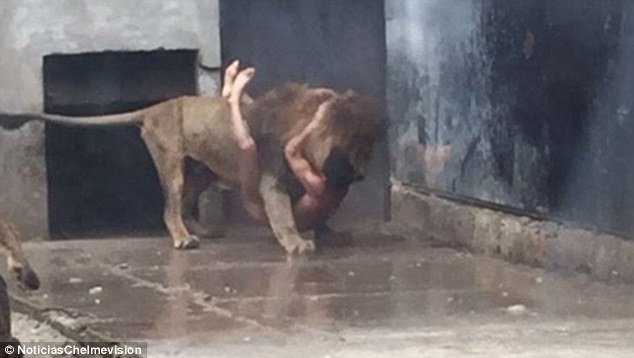 20 year old Franco Luis Ferrada Roman broke into the enclosure, took off his clothes and forced himself to be eaten by the lions. “We believe that this person entered as a visitor and paid for his ticket. Later he trespassed into an area where the public are not normally allowed and we understand that he forced the roof of the lion’s enclosure. It was from there that he jumped, took off his clothes and started to attract the lions”.